Want to travel to Damnoen Saduak but unsure of the directions to get there? Fret not. 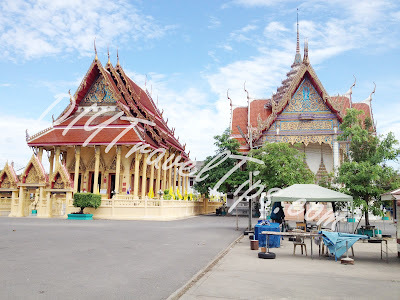 This guide will give you detailed description on how to budget travel to Damnoen Saduak Floating Market starting from Bangkok, using methods that only locals will know. Be careful of tourist traps like boat rides, this guide will show you how to really get into the floating market without having to be ripped off by those expensive boat rides. For those who are looking to stay near the Floating Market, you can find a couple of places mentioned below that are just a stone's throw away from the place. 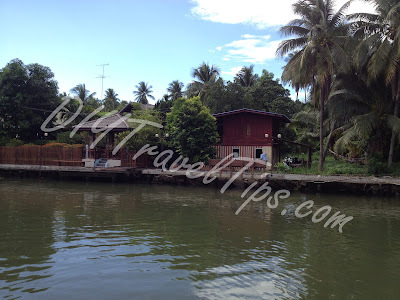 This also serves as a review for the floating market. This guide is based on my visit to the floating market on June 29, 2012. All prices listed as accurate as on that day. The usual disclaimer is found here. For some reason, seems my previous Google Maps data went off. Happened to some other pages too. I have redrawn another one, readers do highlight to me if the map in Update 2 below looks off again. Wow! What a difference 1.5 yrs makes. When I was there in Jun 2012, the area was generally still unmapped in Google Maps, much less to say street view. But today I thought I will search the area again, and boy did I see a huge difference in GM. And so again, a map speaks a thousand words. Points B and C are a little hazy, but should not be too far off. Because the surroundings look a little different from what I remember. The route from B (where you get off bus 78) to A (Floating Market) looks a little different from what I remembered, but as I move further in, the area looks more familiar. If you explore the street view of the road, you may even spot the Yellow Bus! Another thing to add, I see some queries on the Elephant Village. Much as I would like to give info on how to get there, I have not visited the place personally so I do not wish to claim otherwise. If any fellow traveler is willing to share info on how to DIY a trip there from the Floating Market, I will be most glad to put it up for others' reference. 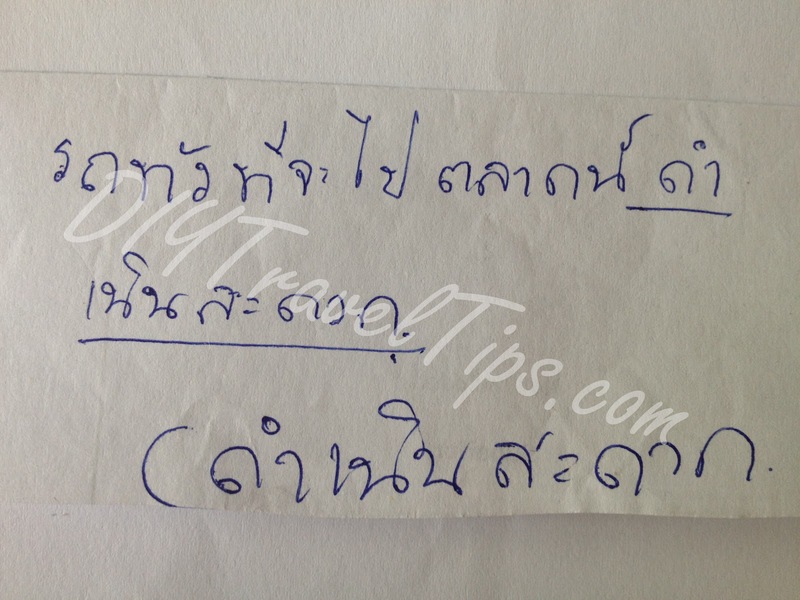 Fellow traveler Bryan suggested getting a tour from Khaosan for 250 Baht if you try to bargain. Fellow traveler Lina Lona commented that her tour started from Victory Monument for 90 Baht per person but do remember to insist that the driver drop you at the actual market and not outside where the scam piers are. Included a map below to show the rough location of the floating market viz-a-viz the piers and where you will drop off if you take bus 78. First of all, get your hotel receptionist to help you translate and write down on paper "Bus to Damnoen Saduak Floating Market"... or you can use mine above. I was told the underlined portion is Damnoen Saduak. Next, get ready to wake up early (like 5am) and make your way to the Southern Bus Terminal (or Sai Thai) to catch the first bus at 6am to the Damnoen Saduak. It is a 2hr ride (no kidding!). Otherwise you will be meeting lots of tour groups from Bangkok if you reach after 9am. I checked with a tour agency at a neighboring hotel and was told the trip and back will start at 7am, at 2400 Baht for the price of two. If you follow my guide, you will only need less than 30% of the fee and get to see more of the place without the crowd. For reference, I was staying in Ratchedewi area (near MBK and Siam Square). My metered taxi fare from hotel to the bus terminal was 107 Baht (return was 177 Baht, go figure). I am also including the local taxi fare guide below. The taxi ride should bring you safely and smoothly to the bus terminal entrance. It's a big building with green rooftop. You shouldn't miss it. The bus to take is No. 78. Starting from the entrance, there are signs with arrows leading you up to second floor where the ticket counters are. I didn't know at that time, but I was told at the counter that tickets are bought on the bus (what's the counter for then?). So I had to make my way down to the bus platform which was on ground floor (escalator is on the other side where you came up from, look for signs with "Platform"). Fortunately, I saw a friendly uniformed guy (that looked like a police) and showed him the piece of paper from the hotel receptionist. He told me in simple English to take bus 78 and even brought me to the waiting queue. Bus 78 is the first bus stand you see when you come down from the escalator. If you have time while waiting, you may even want to grab some breakfast. There are food stalls nearby, and also a 7-Eleven if you prefer. I got on the 6am bus (it should be the first or second bus). On board the bus, there will be a ticketing lady in red. If you are early, she will be waiting with you at the bus stand. I bought my tickets from her there but you can get it on board the bus too. 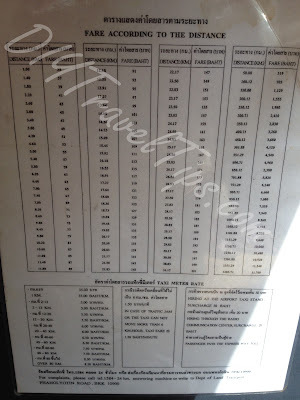 The bus ticket is 73 Baht per person. I have seen online posts giving anything from 40 to 60 Baht. Not sure if there are "tourist fares" and "local fares". Maybe the fares have increased? Prepare yourself for a 2 hr ride. Bring something to do or just sleep your way through. I arrived exactly at 8am. The bus driver will turn into a pier of sorts and let you get off. Ignore the touts that approach and ask you to take their boats. They will say it is impossible to walk in. Just ignore them. 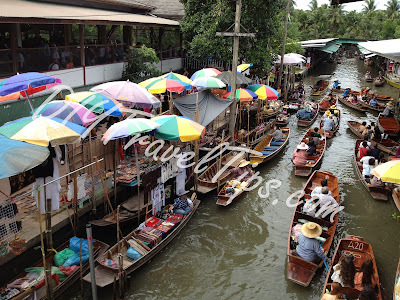 If you have done any research, at this point, most travel blogs/websites will congratulate you on reach the floating market and that you should take the boat (Fee is 300 Baht per person). DO NOT DO SO! THIS IS NOT THE FLOATING MARKET. It is nearby but you are not there yet. Also, even though some travelers have posted their experience was 300 per boat, one pier owner pulled out a LonelyPlanet guidebook which says the going rate IS 300 Baht per person. No use arguing with them. Hey LonelyPlanet, you have become their official endorser for boat rates! You might have read some websites saying you can walk along the canal to the floating market without giving more info how that's done. From what I saw, the canal has a small and tight path but is not continuous (there are waterway sections in between), which do not seem walkable. Anyway, the pier owners are not likely to let you walk in from their canals too. 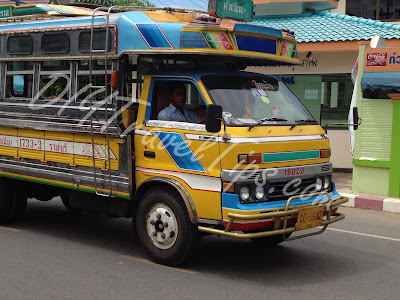 I also saw a couple of online posts saying to take the local bus to the floating market, but what bus? how does it look like? This is where I got peeved off and the reason for this blog... see, if you want to give info, please be more specific. The pier owners are obviously not going to be telling you the bus to take and as foreigners in a foreign place, you have no other choice but to get fleeced by them. There are indeed local buses. Locals call it "Yellow Baht" (The Thais have a way of pronouncing which drops of the "s" in bus, so you get Yellow Baht). To call it a bus is over exaggerating. It looks more like a mix between mini van and lorry. This is how it looks like. ....Or you can choose to walk along that road. It is a straight road in, probably about 1KM-2KM. Not very long walk as compared to spending so much more for the boat ride. They say a picture says a thousand words, so I have drawn up a mini map of the area (not to scale) which I hope will help you with the directions. For reference, walk along the side of the road nearest to you when you step out from the pier. Another tip is to walk where the traffic flow is towards the left (from the pier). Still confused? No worries. I have some photos of landmarks you will see as you walk in. You have to walk a bit in first though as I took these photos on my way out and halfway, I got on the Yellow Bus. 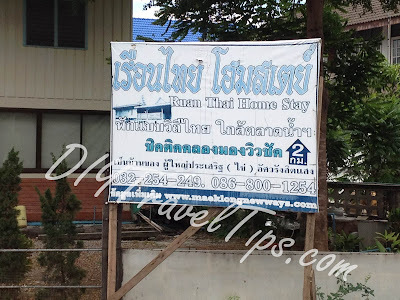 You will come across a home stay banner. For those on budget but would like to spend a night in Damnoen Saduak and literally walk to the Floating Market the next day, you can try calling the number in the photo. No promises on the quality of stay though. A little further in on the left, you will see a big building "Provincial Electricity Authority Damnoen Saduak". You can't miss it. There's also a big photo on display. Further in, a resort for those with more budget to stay near the Floating Market. No contact numbers though but name is in the photo. Once you see this on the right side, you are not far off. There was a friendly guy (security guard?) sitting under the blue umbrella who confirmed with us that we were walking out the correct direction when we said "Bangkok". And finally, you are there when you see the big blue banner that says "WELCOME TO DAMNOEN SADUAK FLOATING MARKET"
I will leave it to you how you want to sight see the place. For the way out, either take the Yellow Bus again for 10 Baht (wait along the main road which you walked in - the road seen above), or walk along the same path out, past all the landmarks. When you reach the pier where you got off bus 78 earlier, walk a bit more and you should see an intersection. Turn left and walk somemore, cross a bridge (sorry I cannot give more info here as I took the Yellow Bus), and on the left you should see shophouses. This is the place to wait for Bus 78. The Yellow Bus will also drop you off here if you tell the driver "Bangkok". If you are confused, look at the mini map I drawn, you should walk upwards towards where the yellow line starts. The bridge is just further up. When you reach the Southern Bus Terminal again, you will be glad to know that it is also a gas station for taxis. You will see taxis queuing up for gas where you get off the bus. Just hop on one and move on to the next place on your itinerary. Remember to tell the driver to switch on the meter! So the total cost of the trip and return is 73 Baht * 2 (for bus 78) + 10 Baht * 2 (for local Yellow Bus) = 166 Baht per person. 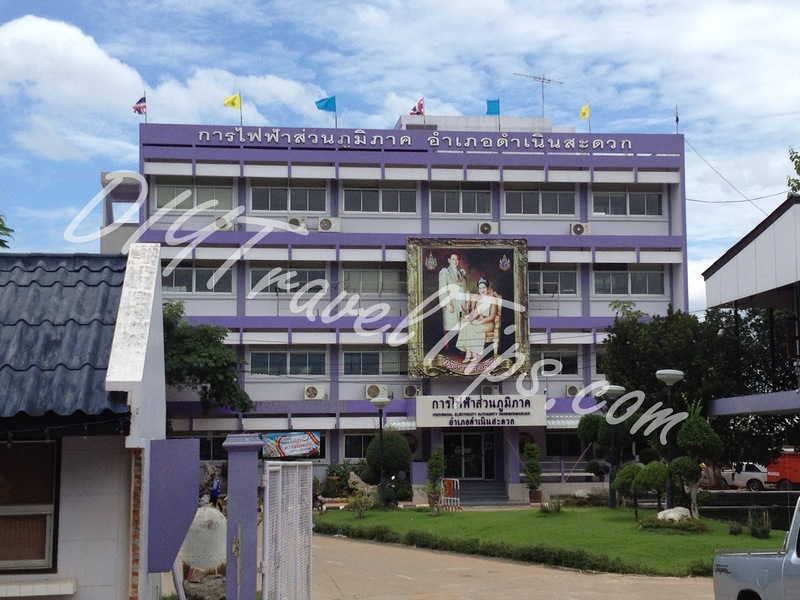 If you include the taxi fare to and from the Southern Bus terminal, add another 200 to 300 Baht (depending on where you stay). A couple trip to floating market should be around 600 Baht which works out to be about 26% of the 2400 Baht that the agency quoted me. Sounds good? With the above out of the way, I must confess that I took the 600 boat ride (which was why I was so peeved off after finding out that it is possible to walk in and my determination not to let others be fooled by those pier owners). IF you really wanted to take a boat ride though, do it from within the floating market, where you can get paddle boats that paddle at more leisure pace and likely to be cheaper. 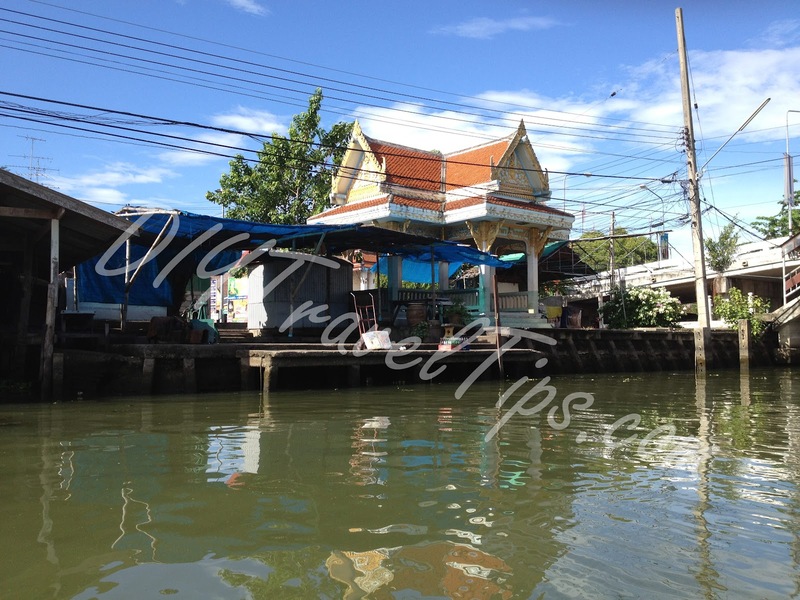 A photo below with the contact details of a boat company within the market. If for whatever reason you had to do the boat ride from the pier outside, the ride is 1hr and brings you in a circle around the 3 sections of the market. You can stop to buy souvenirs or food if you want to (just shout out to your ferryman), otherwise the ferryman will move on and bring you to some tourist spots too. At the end of the boat ride, you are dropped off the pier again. I knew the pier guy lied about not possible to walk to the market but I had no other way to know how to get to there (But you do now). I did know there were some nice Budhhist temples in the area so I struck a deal with my ferryman. 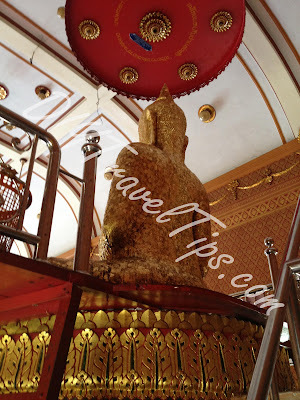 Skip those tourist spots (coconut sugar farm and snake farms etc) and bring me to the temple. He acted blur at first and told me there are no temples. But after sensing there is money to be made, he quoted me 200 Baht but I haggled it down to 120 Baht. So after the normal tour of the three markets (which took 30mins), we sped deeper into the area, away from the floating market. 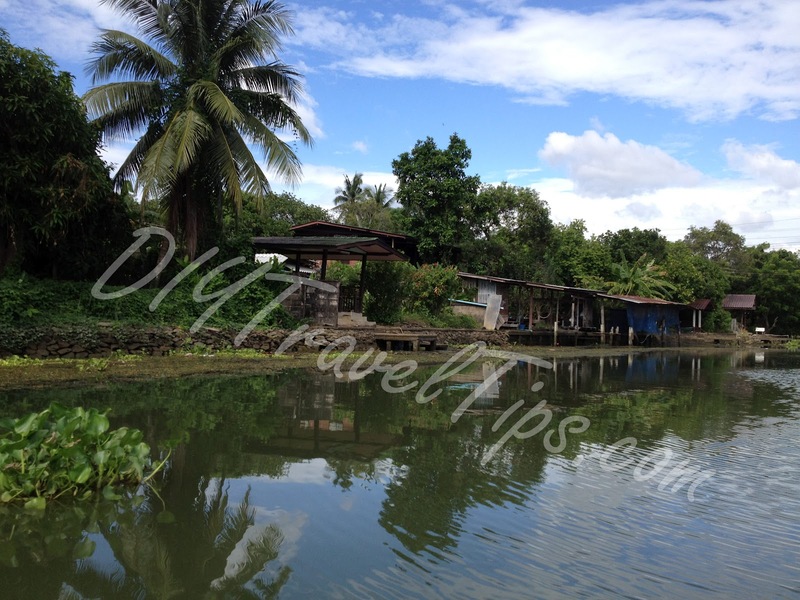 The scenery along the way was good, resembling the real life of a village by the river. We finally got off near the temple. I also realized that unless you took a speed boat from the pier or within the floating market, you will not be able to reach the temple. Even paddle boats are not likely to go as it is really deep in. The temple on the right was closed. The one on the left was small but I could go in and offer my prayers to the Buddha. I was given a packet with small pieces of gold paper that I could stick onto the statue. At first I thought it was for the smaller statue in front. I was surprised when the monk gestured towards the bigger statue behind. There were steps which I could climb up to the back of the buddha and stick the gold pieces. He was also very gracious in letting me take photos. I gave some donation and left the temple. After the temple visit, we even found a nearby house which apparently functions as sort of a local restaurant for the residents. We had a plate of noodles and a drink which only cost 45 Baht and was the nicest thing we had tried that day. By the time we were finished, it was getting late and the ferryman came to find us. On our way out, he pointed to a small monument with words in Thai and a bomb replica. The guy brought us back to the main floating market and dropped us off at one of the sections. It was 10am and the tourist groups have already arrived in throngs. The canal was cramped with boats making it hard to navigate. 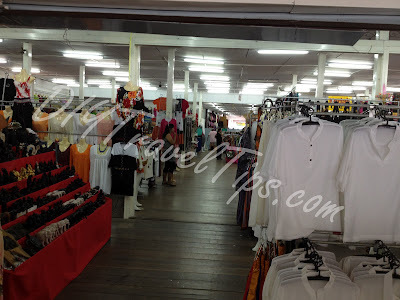 We also confirmed there and then that not only is it possible to walk in, in fact the different sections of the market are connected with bridges and walkways (contrary to what the pier owners would tell you). Leaving the water aside, you would have thought this was a normal land market from the photos. And so this is my trip to Damnoen Saduak. 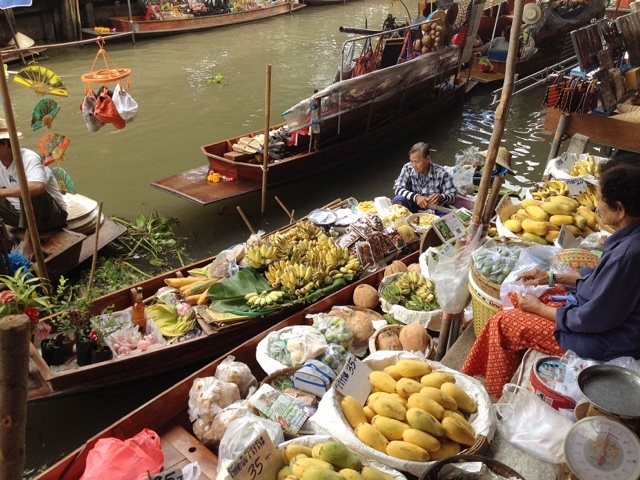 IMHO, it is a very commercialized place that you are probably better off trying other floating markets. IF you really want to come, do yourself a favor by getting there early and renting the cheaper paddle boats found inside the market to enjoy the place! hello there... im planning to go bangkok this sept...and one of my major highlight is this floating market! so im gonna follow exactly ur DIY hopefully everything goes smoothly!! thanks again for ur guidance! oh, any guides on how to go to those grand palace and other nearby temples like Wat Arun and Temples of Emerald Buddha? im planning to go here the same day.. 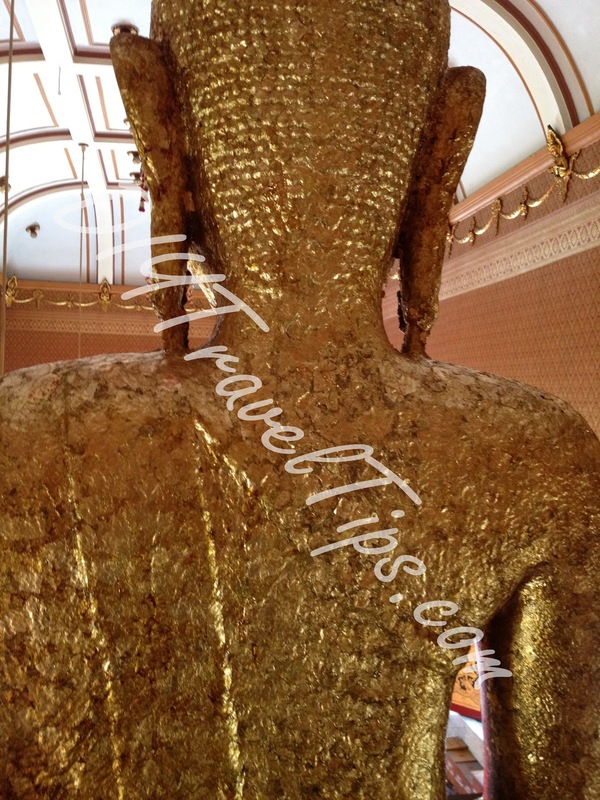 I did Khao San Road + Grand Palace + Wat Pho (Temple of the Reclining Buddha) + Chinatown together on the day I arrived. But I have been too busy to pout together a guide for a combo visit to these places. If I don't get to write one before you visit Bangkok, do take note to IGNORE THE TOUTS that are standing outside any temple and telling you that the temples are closed due to public holiday or whatever crap reason they can give. ITS A SCAM SO SCRAM AS FAR AS YOU CAN FROM THEM!! They just want to lead unsuspecting tourists to some other temple and probably charge you exorbitant rates when you get there. 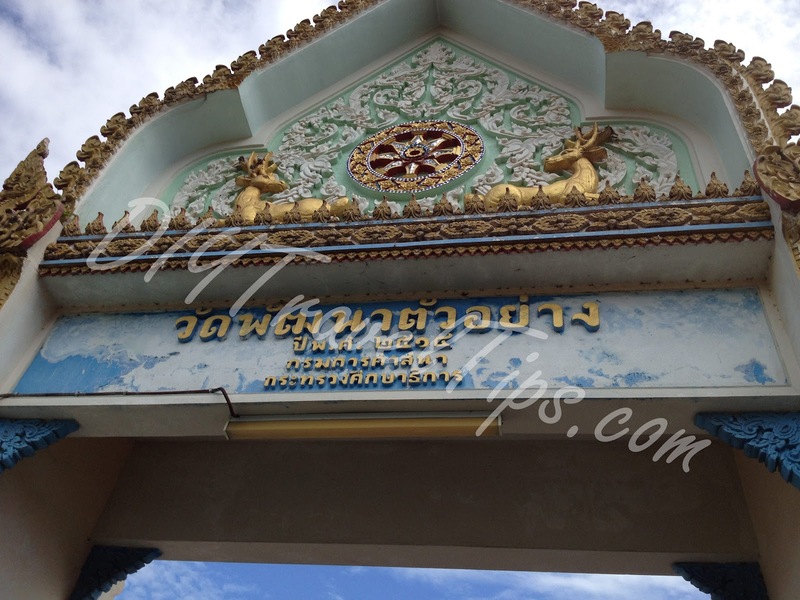 The Grand Palace is opened till 4.30pm (last entry at 4.00pm). 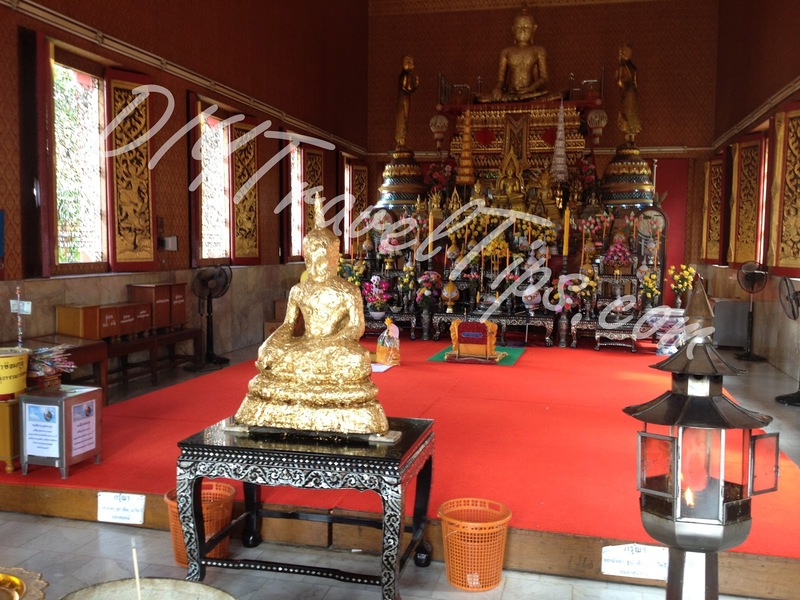 The Wat Pho temple is opened till 6pm. 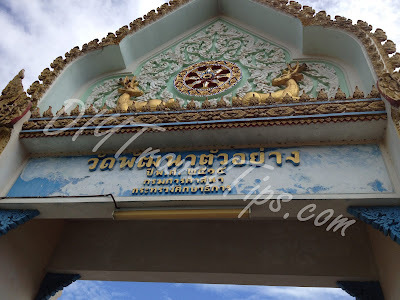 In fact, at Grand Palace, there will be constant overhead announcement telling visitors to be wary of touts/scams and that it is opened for the day. Oh, and there is a dress code for Grand Palace, basically you have to be fully clothed (men and women) before you can enter. No worries though, you can rent the necessary outfit at the entrance (fully refundable). 1 question: are the market open daily? Just as a heads up, you should be able to get the tour on Khoasan bargained down to B250. Can share more details on your tour for the benefit of other readers? - Where's the pickup point and time? - Where were you dropped off? inside the market or outside where you had to take the speed boats? - How long were you given to sight-see the place? - Any other places on the tour itinerary? Hi, just got back from my bangkok trip with friends. 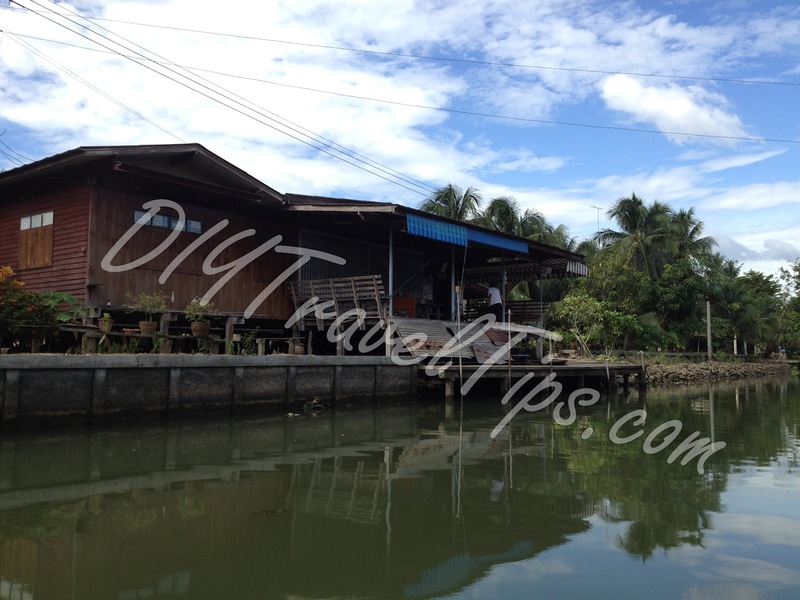 you blog truly helps with our planning to floating market. we went there with van from victory monument where we paid 90 baht each. but we forgot to tell the driver to drop us at the entrance and not boat pier. when he dropped us at a pier, it was too late when we knew it. the pier owners tried to sweet talk us but we knew all the tricks, thanks to u! Tho they told us that the entrance is so far away, maybe 3km away, we decided to just walk to the entrance from the pier. it wasn't that far actually, and signboards are everywhere. 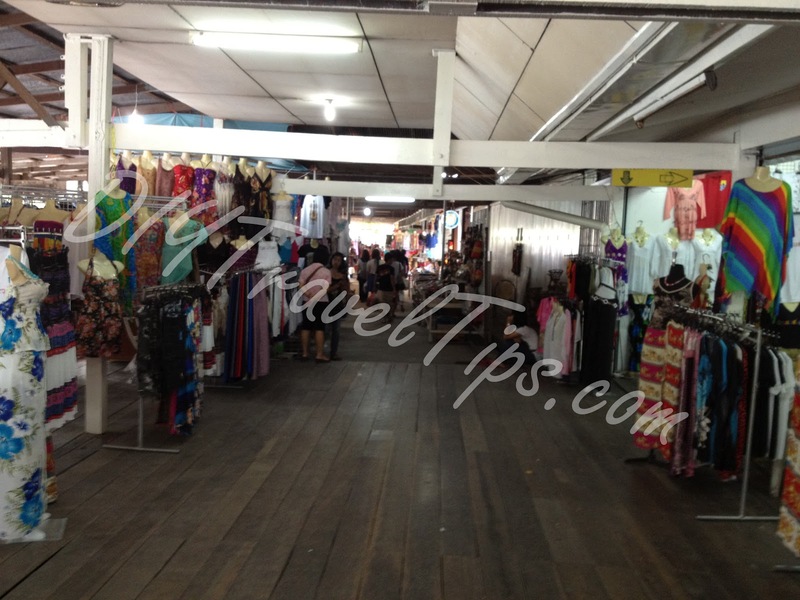 When we got to the entrance, or the actual market, we were thinking to just stroll along. However, when an aunty offered to take us on padlle boat for only 100 baht each, we just cund't resist it. It's definitely wayyyy cheaper than having to pay 1000 baht at the pier. We took yellow baht and bus no 78 on our way back to bangkok. Thanks for the info! Hi Lina lola, may i know for THB 100 / each paddle boat ride, for how many minutes ? and is it private or share with others tourists ? thanks a lot. The paddle boats are definitely worth a ride if you have the time, you get to enjoy the place at a more leisurely pace, and of course a much cheaper option than the fast boats. Though I did not get the chance to try the paddle boats, I am guessing that it will be the same route as the fast boats i.e. 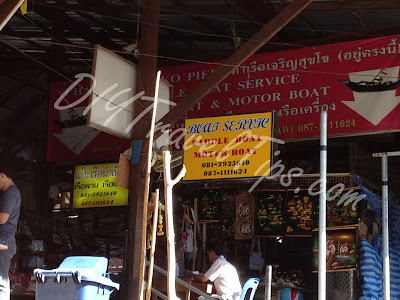 the three main sections of the floating market should be covered, give and take some extra time for you to buy anything from the boat peddlers. If you feel you want a longer ride, you probably can negotiate with the boat paddler on the boat for some extra baht (talk to the one paddling you around, not the boss that took your money). They will most likely be glad to earn some extra pocket money from you. And my apologies to Zoe if you were wondering why your comment did not appear. It was marked as spam by blogger even though I have set all comments to be auto-published. Hi Lina lola, I will be going on 1st November, can you provide the information about the mini van from victory monument to damnoen saduak floating market? the mini van company name and the direction to there? Besides, what is their 1st and earliest time to depart to the floating market? It is much appreciate from your help for the info as unable to found the details of the mini van info. Thank you very much for the detailed information that you have given. I visited Thailand in 2006 but am going back in March. 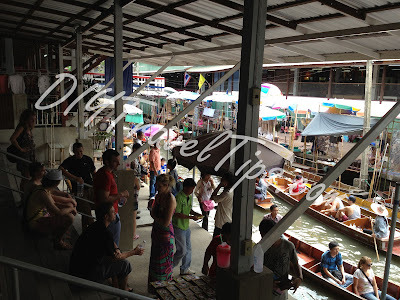 This time I wanted to visit the floating market on my own and not with a tour group. I am definitely going to use your notes. Thanks for providing such precise information on a DIY trip to the floating market. I plan to go directly to Damnoen Saduak from the airport, staying overnight there. Can you tell me whether I am allowed to check in luggage on bus 78? 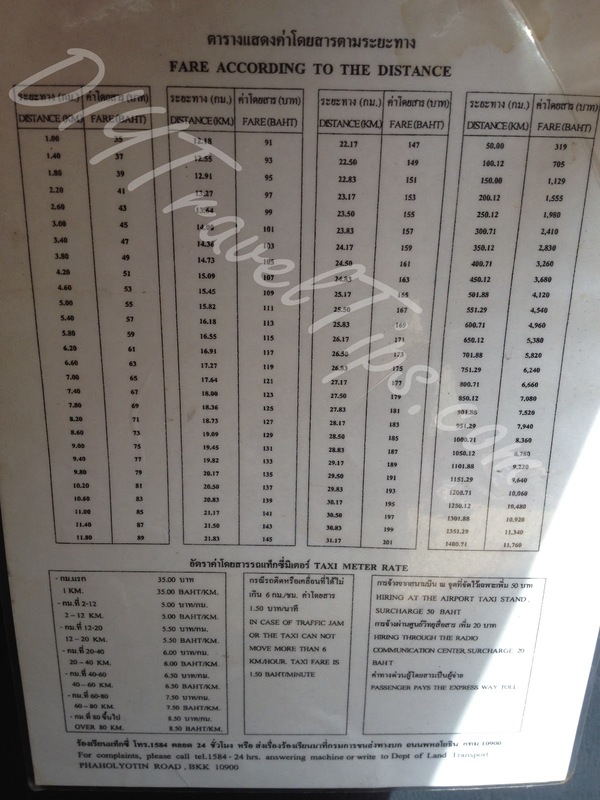 Also, other than the "yellow baht", will I be able to find tuk tuks or taxis from the DS bus station to the hotel? Hi Mervin, sorry for the late reply. I did not notice if Bus 78 is able to check in luggage, and if I recall correctly, the size of the bus probably does not allow it to have the under-trunk storage of bigger bus types. But I am sure if you ask the driver nicely, he would probably allow you to bring up a few pieces of luggage onto the bus. Thanks for your tips. Can you advise me on how to go to the Grand Palace on my own? Thanks! If you are travelling alone, I will suggest you to be careful and stay away from the street touts loitering around nearby Grand Palace to trick unsuspecting tourists. I have more tips on things to look out for in the itinerary guide too. Generally Thailand is quite save for tourists but do exercise caution. Enjoy your trip! Hi, I have updated the guide with a mini map of the area. That should be better for you to figure out the directions. Thoughly enjoyed reading your blod. Thanks for the very informative guide complete with map and photos. We are heading there around 14 June 2013 and will definitely print and bring your guide along. It is because of unselfish people like you who spent time putting together these useful information so that people like us do not get conned that makes this world a much better place. Thank you from bottom of my heart. May you be blessed, always! Hi... this is very helpful! Thank you so much for this! I am a VT member as well and I saw you post about the floating market. I appreciate this very much. I would recommend this link to my friends as well. Have a great day! Hello Thank You for you helfpul blog! 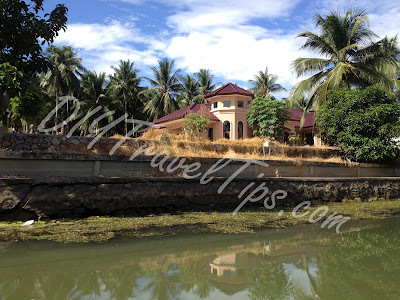 Do you also know how to go from Floating Market to Elephant Village/Elephant Camp? Thank You! Same question as Tiffany. 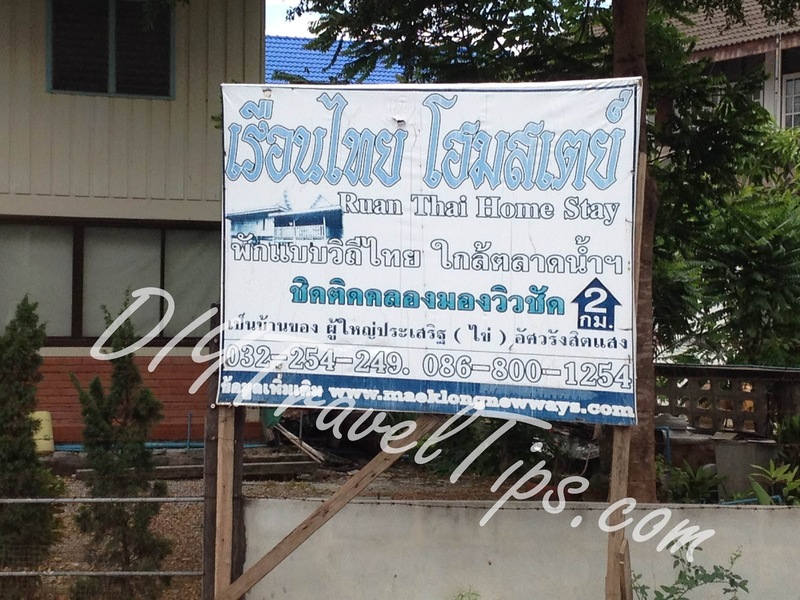 How to get to the Elephant Village/Elephant Camp from Damnoen Saduak Floating Market? Thanks! once you got to the entrance of the market, how much is it to hire the paddle boat to look around? 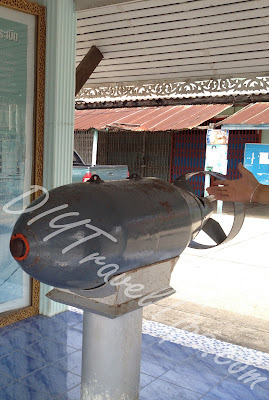 As I know the cost for the padder boat is 200Baht per boat woth up to maximuium of 6-8 persons. The journey will take around 1 hour. I must applaud your effort in putting together such detailed information to help out other tourists visiting BKK. It's truly amazing how you've put all the details on your site. We are visiting June end and contacted Absolute Bangkok (a tour guide company) and they quoted us 5,490 THB for 3 adults and 1 child for Damnoen Saduak Floating Market + Train Market...which in my opinion was a bit too high to just drive us there and drive us back. But we are staying in a hotel in Sukhumvit and cannot find a way to get to the floating market thru skytrain (would like to experience that with the kids) and maybe transfer to Bus 78? Forgot to mention that the quote of 5490 TBH included the 30 minutes "private" tail boat ride from the scam-pier to the floating market. An idea just given by my wife...how about we just cab it from Sukhumvit hotel to the floating market and then take a speed boat from inside the market, and then cab it back? Would that be extremely expensive? We have kids ages 11 and 13, so don't want to make it too difficult for us. Anyway, the floating market is 2hrs ride out of Bangkok. BTS Skytrain is the local subway train system in Bangkok, if you want to take train to Damnoen Saduak, I will think you have to take those inter city trains. Thank you so much for writing about your experience, was great to have when we went there this morning. We took bus 78 and the yellow taxi, saved us a lot of money. Don't be persuaded by the boatmen to take you to the market, really expensive. Some were very aggressive, one even followed us on scooter yelling after us. Back to Bangkok you csn take the bus from Damneom Saduak District Transport Station, but it drives past the blue marker too. dear blogger, thank you SO much for your advice. I visited the floating market today and i had read your blog earlier this morning, i had made a note of your map in my phone. Since we are only in Bangkok for the day, we were in sort if a rush. A taxi driver offered to take us to the market for 1200 bht, we bargained to 800 and were willing to pay the premium for a quick ride. This little scammer knew exactly what he was doing, to my surprise he even had a pamphlet of the market in the car. Anyway, i was ready for their scam. 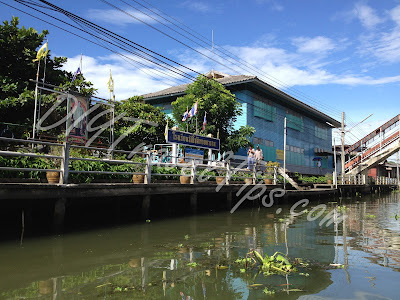 We got off at the parking lot with the small canal and i saw no arch blue sign that said ' welcome to the floating market' i knew exactly what was going on. There was a skinny little guy who forced us to walk to his little stand. I refused! I told the cabbie that this is not the market i will walk. The skinny guy tried yelling at nd and chasing me saying something like 'thus is the market' cabbie got freaked out as i had not paid him yet so he agreed to take nd to the actual market! I paid 100 bht for the busy ride in the canal compared to 900 bht that skinny guy wanted me to okay as a part of his scam. The cabbie was also a part if this whole thing and the only reason he agreed to give me a rude for 800 bht was because he was sure he would make his cut at thd market. Cabbie grumbled with nd all the way back to Bangkok but let me tell you, i taught him a good lesson today. Thank you for your amazing information! 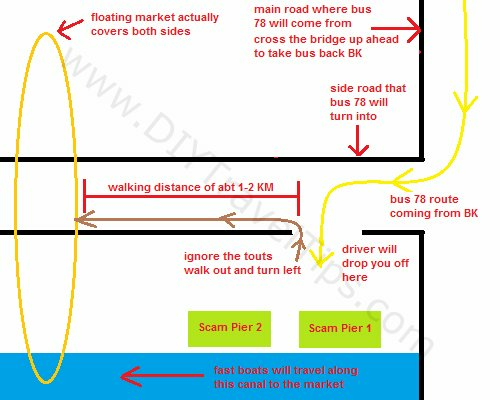 I did some research and saw that there was another way to the floating market via the minbus/van from Victory Monument? Have you heard of that before? is it more reliable and cheaper? hahaha if not i will probably stick to your methods which i think are good and direct as well! But remember to bring along a fleece because the air con is blasting and can be very cold even after you close the vent panel at the top of your seat. 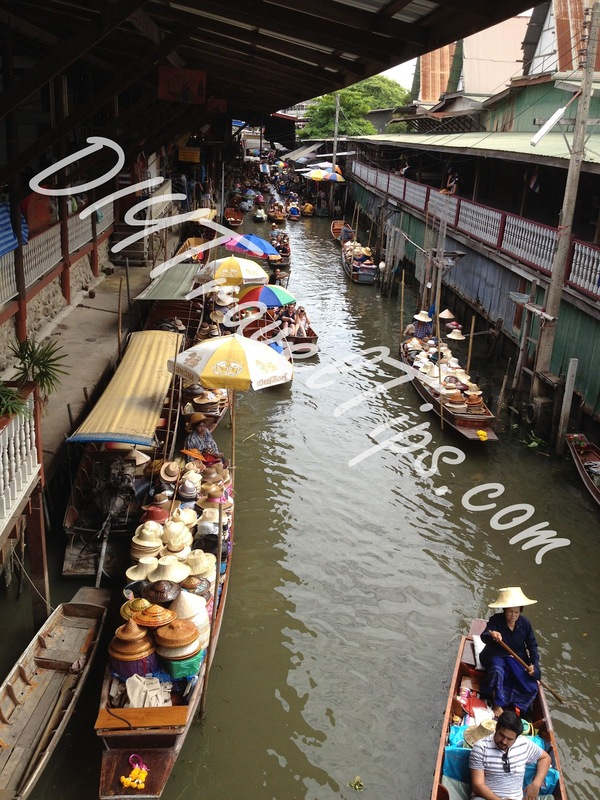 Hi, I will be in Bangkok this August & I would love to include this floating market to my itinerary. A local travel agent I am communicating w/ through email is offering me a 550 Baht/person for a half-day Damnoen Saduak Floating Market tour. Is this a reasonable price? Pls advise. If not, could you provide me a detailed info on how to take a mini-van? Downside to such tours are like what I mentioned in the article, due to the time you start the trip, most of the local actions are gone by the time you arrive. You are just bumping around with a lot of other tourists such as yourself, with equally eager vendors catering to tourists. If possible, I would suggest you request for an earlier start so you get more quality time at the market. good info but could have done without the reference to 'Japs' bombing. Thank you for your write up. It inspired us to do the trip DIY! We went to the floating market last weekend on a Sunday. 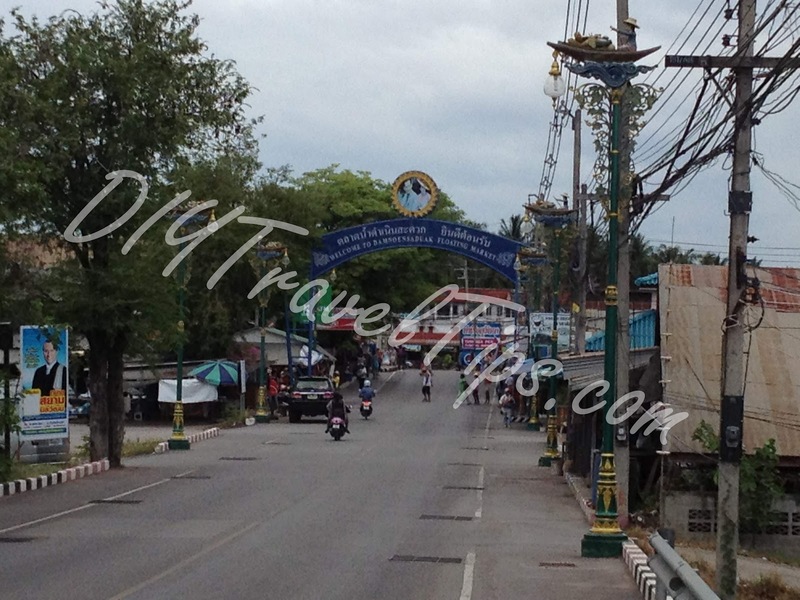 We followed your advice to wake up early and took a metered taxi to "Sai Tai". That's The Soutern Bus Terminal, about 20km from our hotel at Suktumvit 20. 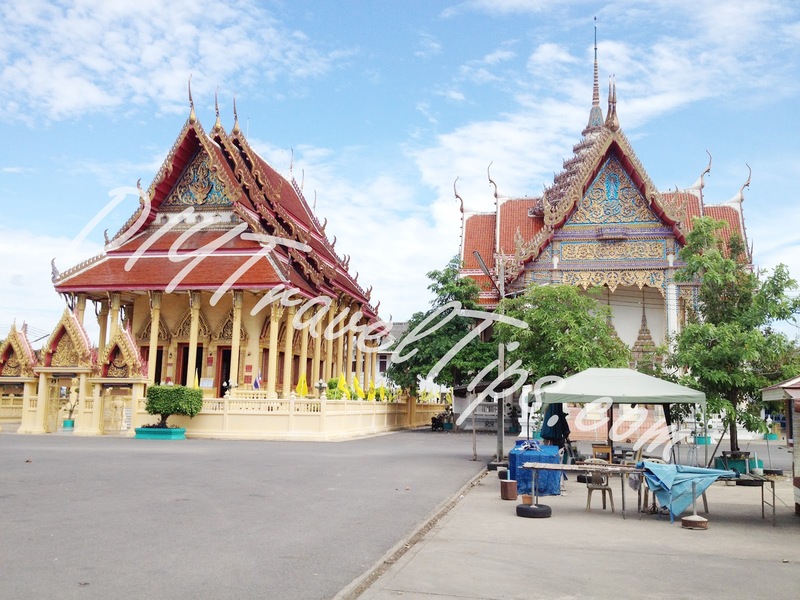 We paid 150 Baht.We reached there before 6am and saw the stand for bus #78. The lady pointed to us the bus which is about to leave. The bus rate is 66 Baht per person and the journey took about 2 hours and we alighted near to a pier. Of course, this is where the scam started... a young lady came to us to take a boat at their pier but we said we rather walk in. First she quoted the price of 500 Baht per boat and as walked away, the price went down to 300 Baht. Like we said, we rather walked in to the floating market. The walk was about 1.5km and that took us about 15-20 minutes of a slow pace, taking pictures and enjoying the scenery. Along the way, there were a couple more piers and the scammers were all waiting to lure you into taking their boot! Don't bother, ignore them and walk on by. At the market, we were there before 9am and not congested yet. You can actually walked along the path along the waters which was nice and peeking through the local houses. 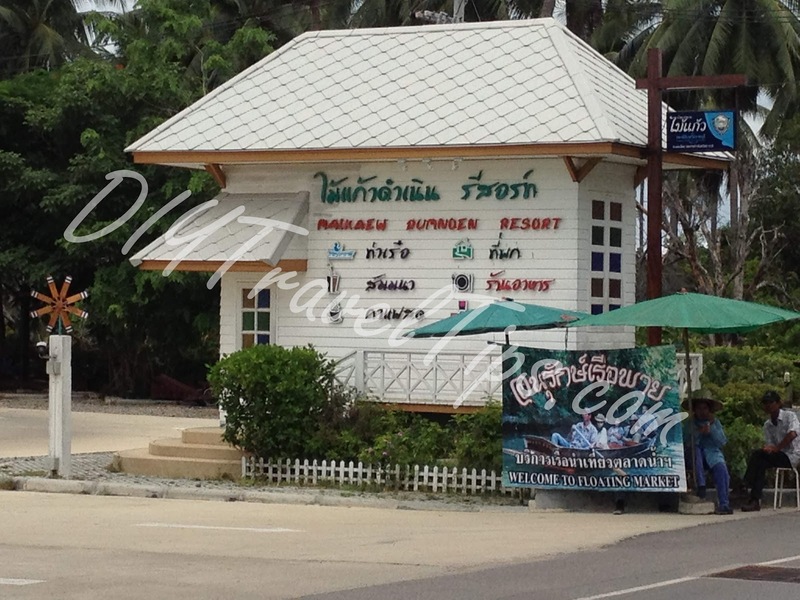 on our way back, we were not sure where to wait for the bus back to BKK but we saw a tourist information counter just outside the main road where the intersection is. There we saw a map showing how to get the spot to board the bus #78 back to BKK. It was pretty easy and we boarded the bus at 11:30am and we reached "Sai Tai" at 1:30pm thereabout. Taxi back to our hotel was slightly more expensive because of the afternoon congestion in BKK city center. We paid 250 Baht. 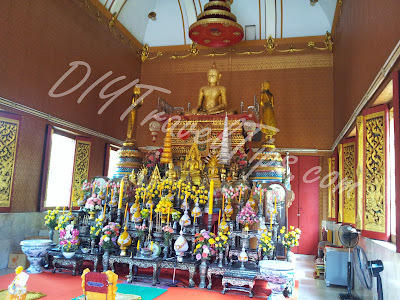 In total, we paid less than 700 Baht for 2 pax. 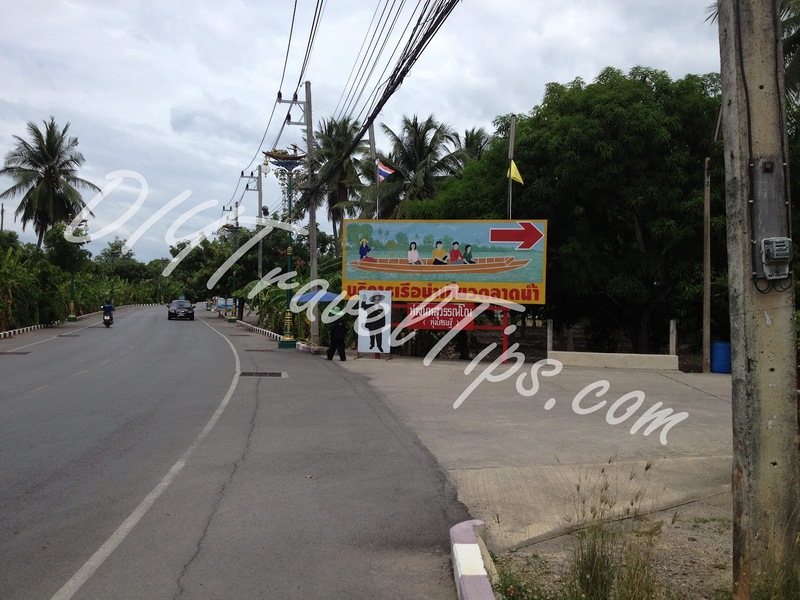 We will try to upload the map of how to catch the bus back too BKK from the intersection. Thanks for this DIY tips, just back from the floating market. I stayed at Nana Bts area, wake up 5am took local bus 511 from Nana Bts to Sai Tai Mai (19 Bath), then bus 78 (64 Bath). Thank you very much for such a wonderful review/tip. I was in BK in 2016 and the tuk tuk driver offered me a ride which, if I recall correctly, was about 25-30THB for 5 places including the floating market. However, I asked him if I had to pay for boat or anything. He said yes and I kept saying no, I don't want to take the boat, just take me to the market. Then he withdrew his offer. I didn't do the the market but this time I will. Thank you!